Violinist Kerry DuWors has performed across North America, Europe,and New Zealand. 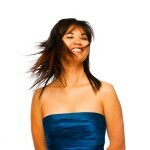 She has collaborated with James Ehnes, Marc-André Hamelin, Yo-Yo Ma, the St. Lawrence Quartet, the Knights (NYC). She has given performances at Jordan Hall (Boston), Zankel Hall (Carnegie Hall), Baryshnikov Arts Center (NY), Montreal Chamber Music Festival, Vancouver Recital Society, National Arts Centre. Kerry released her debut CD for PARMA Recordings in May 2014. Kerry has received many prestigious awards including grand prize at the 26th Eckhardt-Gramatté Competition, University of Toronto Eaton Graduate Scholarship, Felix Galimir Award for Chamber Music Excellence and two Canada Council Career Development Grants. Assistant Professor at Brandon University, Kerry is also pursuing a Doctor of Musical Arts degree at the Eastman School of Music (Rochester, NY). She plays on the 1902 Enrico Rocca violin on loan from the Canada Council for the Arts and an anonymous donor.